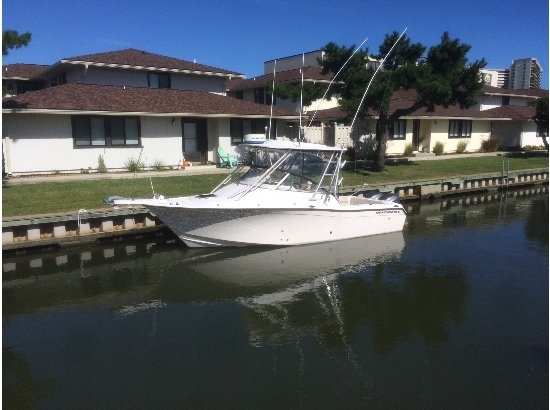 2001 Grady White 265 Express Pocket fisherman. New fuel tanks. 800 hours on 200hp HPDI Yamahas. underwater lights, new eisenglass, coaming pads. good electronics. Outriggers. 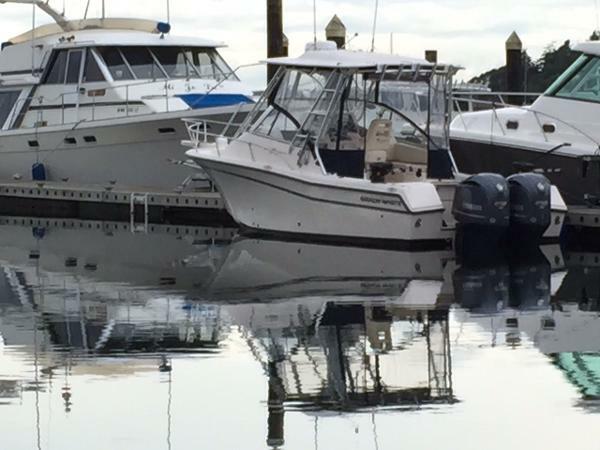 boat is very clean. 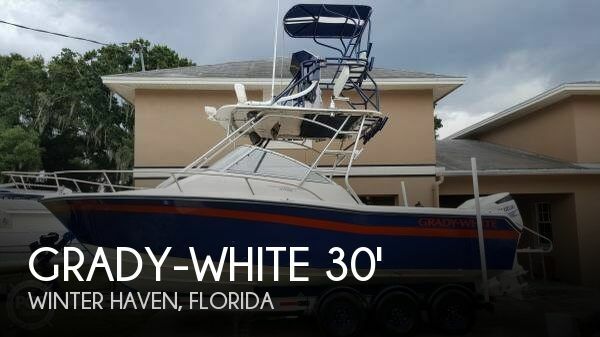 The POWERBOAT GUIDE says this about the 265 Grady White: The 265 rides on a deep-V hull whose generous 9-foot, 7-inch beam is exceptional for a 26-footer. 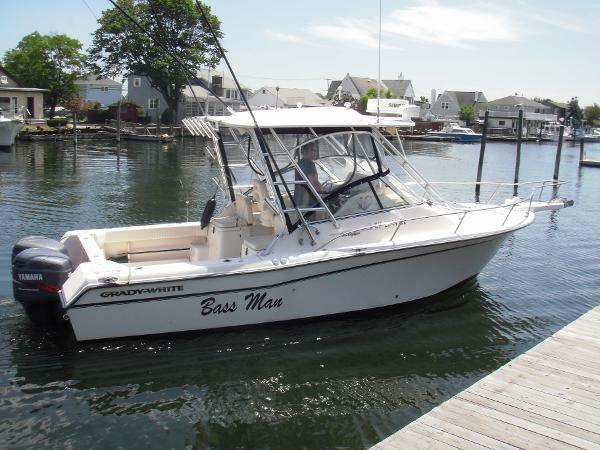 Cockpit amenities include a tackle station with sink, a 40-gallon livewell, a huge 300-quart fishbox and storage bins in the corners. Note that a fold-downmotorwell bulkhead is aft. On the bridge deck, bench seats flank the centerline helm, which has an overhead electronics box in the optional hardtop. The cabin of the 265 Express is surprisingly spacious and features a compact galley with refrigerator and stove, an enclosed head with shower, a wideV-berth and rod racks. 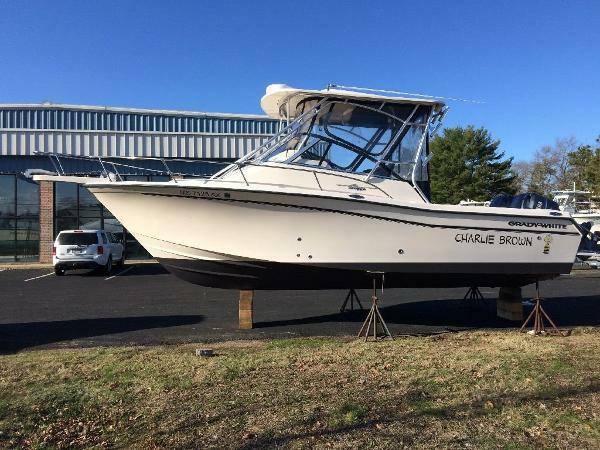 2003 Grady-White 265 Express This 265 Express has been very well maintained, kept on a lift, washed and waxed on a maintenance contract, all engine updates completed and documented. Big Bite shows well and will not disappoint your clients. 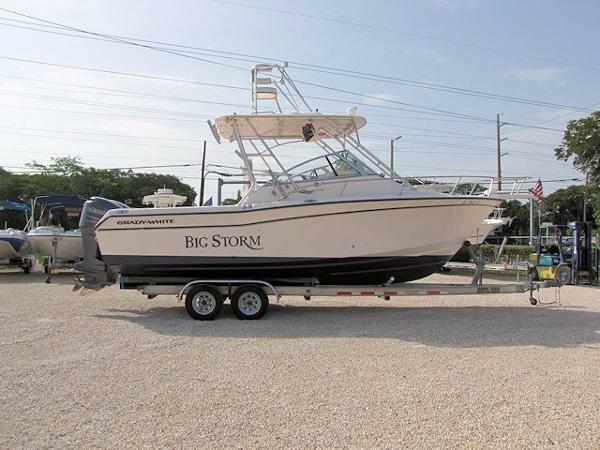 The 265 Express was the first of the newer, deeper Vee hulls that gives the boat a smoother ride and more speed in rougher seas. 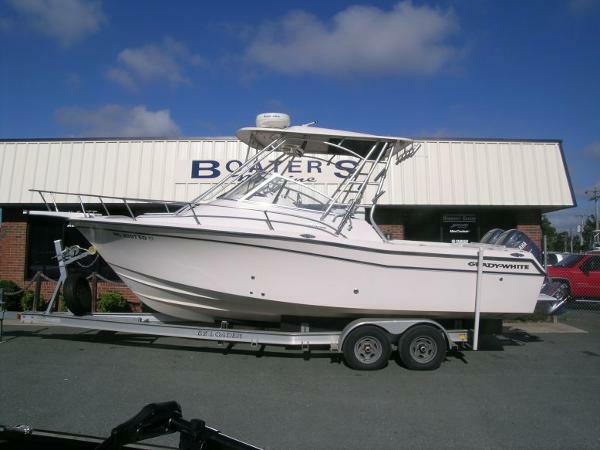 2000 Grady-White 265 Express This 2000 Grady White 265 Express is powered by Twin 2007 Yamaha 250hp 4-Strokes with ONLY 250 hours. 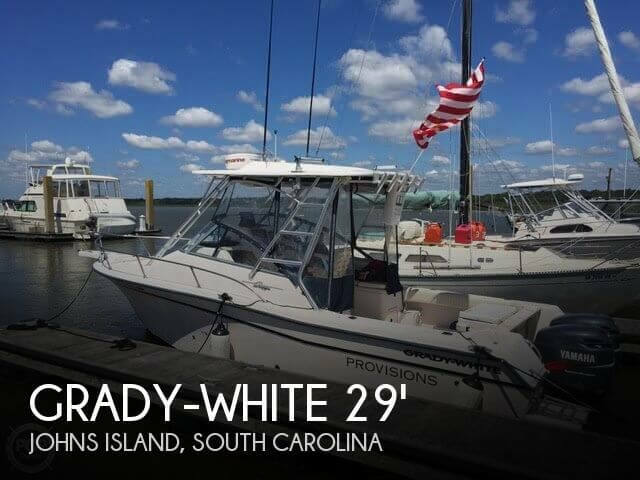 Turn Key!Only 250 Hours on Engines3 Garmin Units GPS/DepthfindersCaptains ChairCrows NestOutrigger HoldersHard TopMarine StereoMarine VHFMicrowaveSalt/Fresh Water WashdownPorta-PottiRefrigeratorWindlassBow RailNav/Anchor LightsMuch more to list, Turn Key! 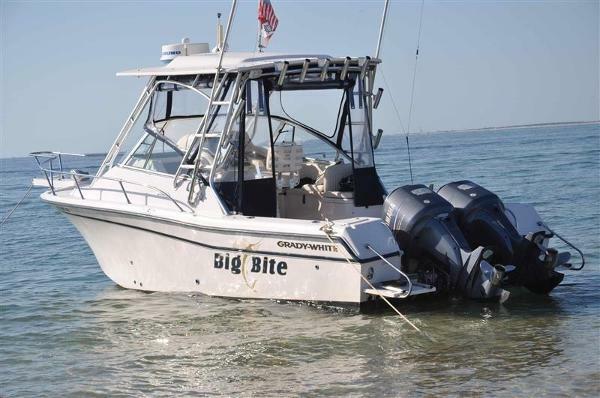 2005 Grady White 265 Express 2005 Grady White 265 Express, powered by twin Yamaha 225hp Four Strokes, only 350 original hours. Completely serviced by a Factory Certified Yamaha tech. Super clean, she shows perfectly. 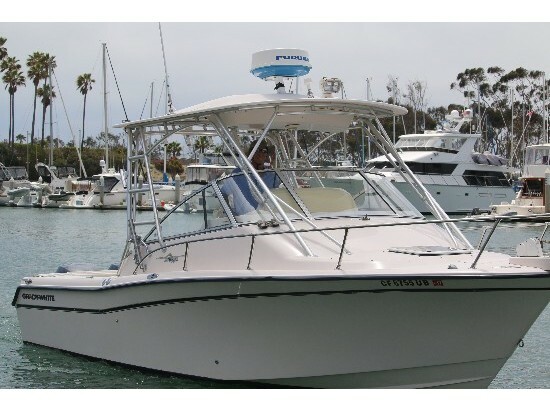 Includes helm enclosure with drop curtain, helm and captains seat canvas covers, port and starboard lounge seating, rear facing jump-seats and rear fold-down bench seat. Live well and tackle stations. V berth forward sleeps two, small galley to port with fridge, microwave, sink and a hotplate, enclosed head with shower to starboard. Teak accents through-out cabin. 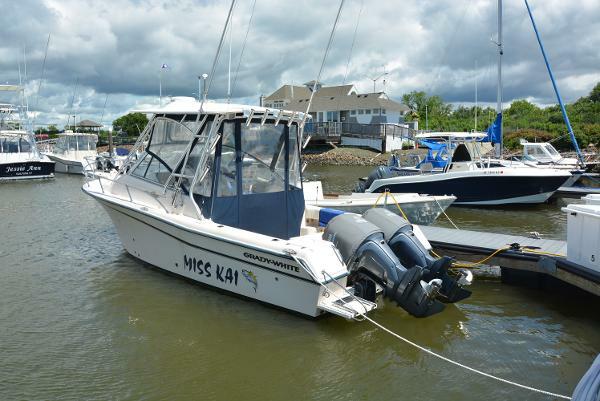 Full electronics, Pro active owner all engine maintenance and upgades complied with. Turn-key, ready to splash.